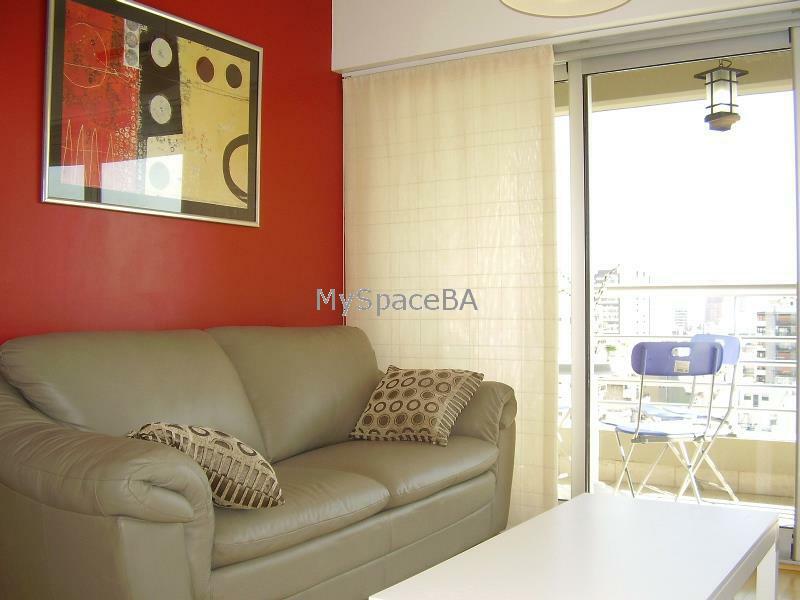 Beautiful one bedroom apartment located in a modern and big tower on 16th floor. Building with amenities as swimming pool, gym , tennis court, security 24hs. The apartment has a living room with sofa , balcony , LCD TV with cable , dinning area with table and chairs . Fully equipped kitchen . Guest toilete. Separate bedroom . Full bathroom with bathtub and shower. Balcony with open view . LCD TV with cable . Internet Wi Fi . Aircon cold / warm . Landline telephone for local calls. Kitchen equipped with all cooking amenities. Brand new building . 24 Hours Security, Gym, Swimming Pool, Tennis Court, Laundry, Courtesy Parking, Meetings Place. Downtown . Alto Palermo Comertial Center . Subway "Bulnes " green line . Banks . Palermo Soho just 15 blocks . Santa Fe ave . Bars , Restaurants . Charcas Boulevard . etc. Observations: Reservations via credit cards or PayPal . Balance payment is accepted in cash.